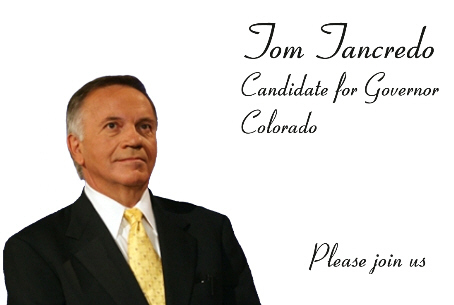 Why is Tom Tancredo coming to Santa Ana on Oct. 1? 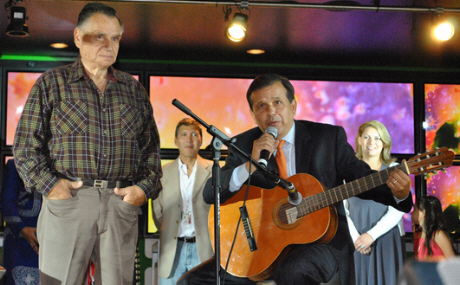 Why in the world is uber-conservative Tom Tancredo coming to Santa Ana tomorrow? Tancredo used to be a Congressman out of Colorado. He lost his seat, quit the GOP and is now running on the Constitutional Party Ticket, for Governor of Colorado. This guy is a total nutter – and he HATES immigrants. Why he would come to Santa Ana is a real mystery. Tom has been a long-standing conservative and leader in the anti-illegal immigration movement, as you know, for many many years—and taken more flack for his positions than most people can ever imagine. He needs the help of conservatives now in this race. Have the support of most tea party groups in CO, and he was a favorite speaker at the National Tea Party events. They just need to get the word. The ICE and border guys love him, they need the word. Conservatives (first) love him, but they also need the facts. And get this, Bay Buchanan (Pat’s sister) is his campaign consultant. No bueno! To RSVP for this event, fill out the form below. Three civil rights groups contend the U.S. Department of Education failed to give adequate attention to the needs of English-language learners in the $3.4 billion Race to the Top state grant competition and say they plan to hold federal education officials accountable for promises they will give them more attention in the future, according to Education Week. 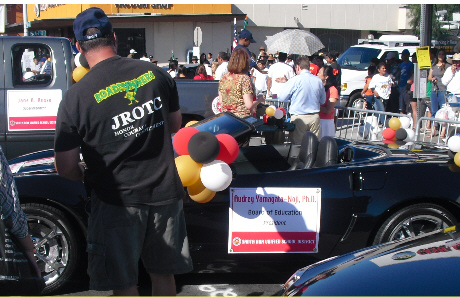 The Santa Ana Unified School District was the ONLY school district in Orange County, out of 28 school districts, that applied for the Race to the Top grant. 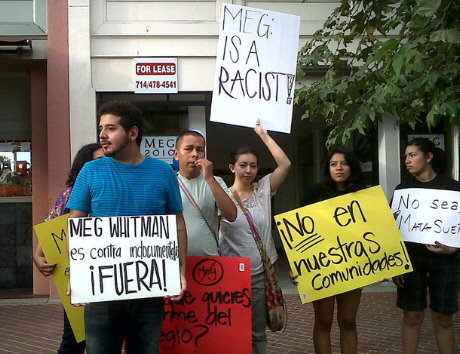 Protesters showed up today in Santa Ana, at the new Meg Whitman campaign office. And guess who showed up to visit with the Whitman staff? None other than Santa Ana Councilman Carlos Bustamante and Minuteman Lupe Moreno. 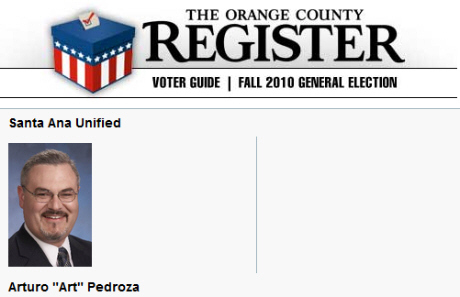 I ran against Bustamante, who is a Republican, two years ago, and was amazed when the supposedly Democratic bloggers at the Liberal OC joined forces with the Republican bloggers at the Red County blog, and Nick Berardino and his lame OCEA, to attack me with nasty mail pieces. Sure enough, Bustamante won, even though I came away with over ten thousand votes. And now Bustamante is actively campaigning for Van Tran and Meg Whitman. I hope Berardino and the Lib OC bloggers are proud of themselves! Kudos to the Dream Teamers who showed up today to let Whitman have it. I wish I could have been there but I had to cook dinner and pick up my second grader from school. Apparently Republican Senate candidate Carly Fiorina also showed up in Santa Ana today, where she spoke at a business owned by a friend of business owner Mike Tardiff, who often comments at the Liberal OC blog. 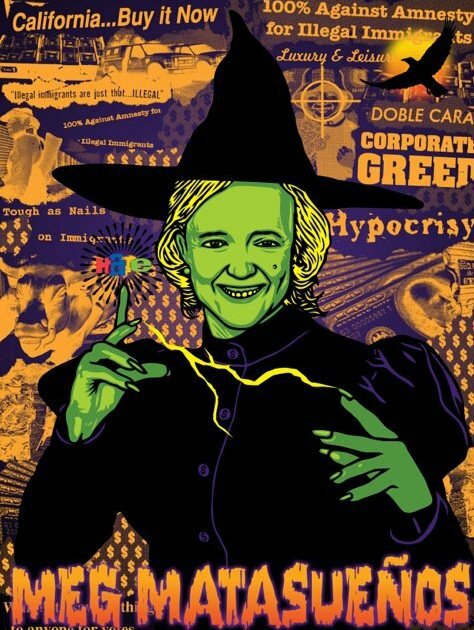 She spoke about jobs even though she outsourced thousands of jobs when she ran HP. Whitman and Fiorina can pander here in Santa Ana all they want, but Latino voters know better than to vote for either of them! 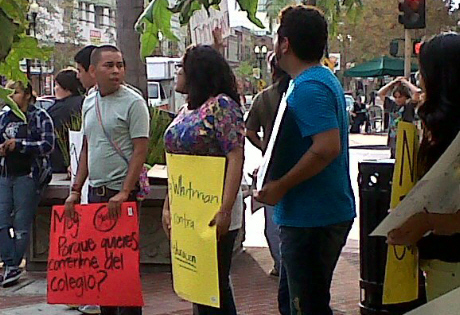 The fact that Lupe Moreno is showing up to work at Whitman’s office speaks for itself. Moreno made headlines this summer when Santa Ana Councilman David Benavides chose to honor her, after she and her Minutemen took over the Santa Ana Independence Day event. We dubbed that scandal “Hatergate.” When we had Benavides on last week’s Orange Juice blog radio show he once again defended Moreno. Well Benavides, what do you think now that she is working to get Whitman elected? I wonder if Benavides knows that Whitman’s Campaign Chairman is former Governor Pete “Prop. 187” Wilson? 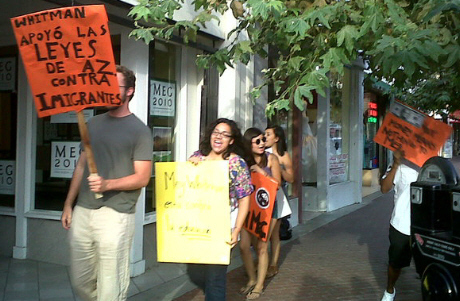 Protest at Meg Whitman’s Santa Ana office today at 4 pm! Republican gubernatorial nominee Meg Whitman has opened a campaign office in Santa Ana, at 4th and Broadway. This is such an insult to our Latino residents. Whitman’s campaign chairman is none other than former Governor Pete “Prop. 187” Wilson! Fortunately our people are not taking this lying down. Protesters are going to be at the Whitman office today at 4pm. They ask that you bring signs. Whitman is wasting her time and money. “Latino voters, who have helped to propel California’s leftward political swing over recent years, remain reluctant to embrace Republican candidates as the November general election nears, a new Los Angeles Times/USC poll shows,” according to the L.A. Times. Registered voters who identified themselves as Latino backed Democrat Jerry Brown by a 19-point margin over RepublicanMeg Whitman in the race for governor, despite Whitman’s multiple appeals to Latino voters during the general election campaign. Registered voters who identified themselves as white gave Brown a slim 2-point margin. 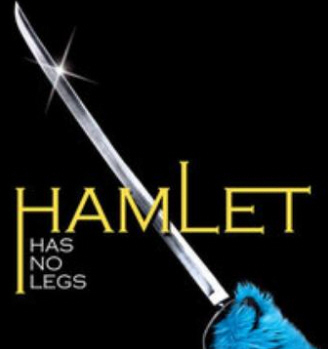 Whitman isn’t fooling us at all! Be sure to show up to today’s protest and let her know we aren’t going to vote for her and we don’t want her in our downtown! Click here to join the “Meg Matasuenos” Facebook page. Feliz Cumpleaños Assemblyman Jose Solorio! I came across this post over at the new Democrats OC blog. It looks like our Assemblyman, Jose Solorio, is having a Feliz Cumpleaños this week! Solorio helped save my wife’s job this year, via a funding bill for the agency she works at. When his Republican opponent, Bob Hammond, came to my house last night, while precinct walking, I had to laugh as he spoke about jobs. Little did he know how many jobs Solorio saved this summer with that bill! (To make matters worse, Hammond was also walking material for the dreadful Van Tran!) Needless to say, Solorio has my support and my vote. Thursday, September 30, 2010 5:30 p.m. to 7:30 p.m.
To RSVP and for more information, please contact Denise Peralta atDenise@JoseSolorio.com or by phone at (714) 673-0005. “Latino voters, who have helped to propel California’s leftward political swing over recent years, remain reluctant to embrace Republican candidates as the November general election nears, a new Los Angeles Times/USC poll shows,” according to the L.A. Times. In the race for U.S. Senate, incumbent Democrat Barbara Boxer held a 38-point lead over Republican Carly Fiorinaamong registered Latino voters, five times the lead she held among white voters. What does this mean for Republican Congressional candidate Van Tran, who is running against Congresswoman Loretta Sanchez in the 47th Congressional District? 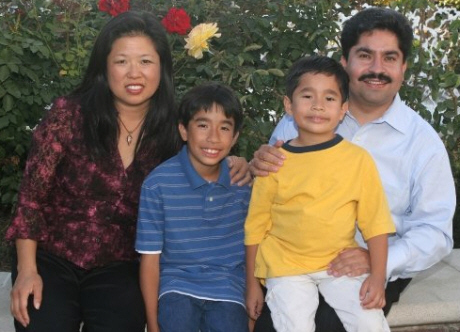 For one thing, I think it means that many Latinos will NOT vote for Tran, but they may not vote for Sanchez either. I think independent candidate Cecilia Iglesias could end up with a lot of those votes. Some political experts agree with that notion. 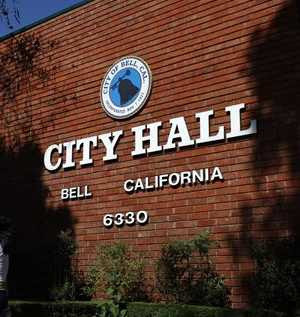 Iglesias “substitutes for ‘None of the Above,'” said Hoffenblum, who publishes the California Target Book on political campaigns. “What Van Tran needs is every vote of someone who doesn’t like the incumbent,” according to the O.C. Register. We have received several Sanchez mailers at our household. All of them have ripped Tran for accepting $136K in legal per diems. Sanchez has yet to send out any mailers about what Latino voters really want to hear about – jobs and immigration reform. Tran has been focusing on jobs in his own mailers. While Sanchez mentions “Economic Development” she does NOT mention jobs! And she forgot to mention mortgage recovery, which is a HUGE issue in Santa Ana. 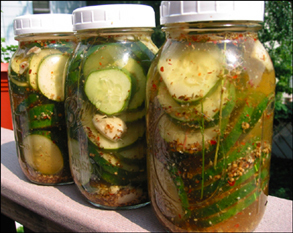 But you have to love Tran’s website. He doesn’t mention any issues at all! And he offers a Vietnamese language website, but not one in Spanish. Nor does he offer his campaign video in Spanish. What a dope!